A month ago I made a promise to offer here more on Dutch digital libraries and their importance for legal history. The list of projects maintained by DEN, the Dutch knowledge center for digital heritage, seemed worth checking again. On my blog and my website you can use the collection of links for Dutch and Belgian legal history, but it just might be the case more can be found out there on internet than you will find on these pages. When you wonder reading this post why I do almost not mention projects at Amsterdam, Leiden or Utrecht this is mainly because they have already been included earlier on. Surely I can have completely missed an important site or two or even more, and it cannot do much harm to check this project list which unfortunately is maintained only in Dutch. In order to focus as much as possible Belgium will follow another time. Let’s start with the happy part of my hunt for Dutch digital libraries. In particular for Friesland (Frisia) legal historians can point to a number of websites. The first digital library has figured already in an earlier post. At Leeuwarden (Ljouwert), the Frisian capital, forces have been united to create the Tresoar, Frisian for treasury. The provincial archive and the provincial library work together in this institute. The website is accessible in Dutch, English and Frisian. In contemporary law Frisian is – a historian must add: again – allowed in court proceedings. However, the digital collection of the Tresoar can only be accessed using an interface in Dutch, but the Digital Treasury Room can be viewed in three languages. The normal approach offers the choice between a list presentation and a thumbnail list, and although distinctly less colorful it is more practical than the fancy looking Treasure Room site which seems to aim at a young audience. Sources for Frisian law are present in this digital collection: the incunable with the Freesk Landriucht, strangely placed among the manuscripts, is one of the highlights. The section Dossiers offers dossiers on three famous trials. The Codex Roorda and two manuscripts of the Hunsingoër Landrecht stem from the collection of the German legal historian Karl von Richthofen. Among the digitized genealogical material is a criminal court register for the period 1838-1844 (“Strafzaken”). The Tresoar also presents sources for the history of the University of Franeker, prints, historical maps and poetry. The second Frisian website is named after a librarian, Geert Aeilco Wumkes (1869-1954). On Wumkes you will find a small but very well stocked digital library for the history of Frisia. Among the digitized books are a source edition for medieval Frisian law, Zeventien Keuren en Vierentwintig Landrechten, Nikolaas Egbert Algra (ed.) (Doorn 1992), downloadable in the PDF format (23 MB), sources editions by M. de Haan Hetttema (Oude Friese wetten), the famous book Hedendaagse rechtsgeleertheit by Ulrich Huber (1686) , and more works by Karl von Richthofen, the pioneer of the study of medieval Frisian law. Worth reading is also the study by Johann Samuel Theissen, Centraal gezag en Friesche vrijheid [Central authority and Frisian freedom] (Groningen 1907) , the starting point for the modern study of Frisia’s position within the medieval Low Countries. The Wumkes site has as its strengths the Bible in Frisian, a geographical dictionary for Frisia, the acts of the Fries Genootschap and the journal De Vrije Fries. A third website not mentioned by DEN is maintained privately by Kees Nieuwenhuijsen who presents OCR-scanned texts. His collection is still growing and being refined. Not only the Lex Frisionum and the Lex Francorum Chamavorum (Ewa quae se ad Amorem habet) are presented with a commentary, but now also other sources for Dutch medieval history, such as the Cartularium Radbodi with the possessions of the diocese of Utrecht in the tenth century, and the Codex Eberhardi, a list with the Frisian properties of the abbey of Fulda in the ninth century. The DEN list does mention one project started by the Fryske Akademy, the Frisian Academy. On its website in Dutch, Frisian and English the Fryske Akademy presents a number of projects; the English version of the project lost is not complete. The Fryske Akademy supports the Wumkes digital library, but apart from that there is only one major digitization project, HISGIS, a historical geographic information system in which the data of the 1832 Dutch land registry and pre-cadastral information from written sources is projected on maps. Apart from Friesland data have been entered for the provinces Groningen, Overijssel and Utrecht. Readers of my posts on Terscheling can look at Skylge. The list offered by DEN shows a wealth of digitization projects, but it is not easy to find projects in this list which bear immediately on legal history. For example, one of the oldest Dutch public libraries, the Stads- en Athenaeumbibliotheek of Deventer, has an interesting digital library, but only the pamphlet from 1781, Aan het volk van Nederland [To the Dutch people] by Joan van der Cappellen tot de Pol, which inspired the Dutch Patriotic Revolt (1785-1787), is really important. Luckily for legal historians it is the first item in the digital collection with the promising name Topstukken (Highlights). This library holds certainly more treasures. Looking at the DEN project list I increasingly become aware that digitization projects concerning books form a tiny minority. Thus I worry even whether to present at all more here when you can already find the most important Dutch digital libraries on the page for Dutch legal history. Dutch projects clearly focus on digitizing images and archival records, on education and promoting interest in Dutch cultural heritage. It will not do any harm to present here briefly some of the projects which to some extent touch upon legal history. At the Erasmus University Rotterdam Paul Schuurman and Wiep van Bunge have created the Digital Locke Project for the digital edition of manuscripts by John Locke (1632-1704). It is curious that the website of this project is maintained in Amsterdam. The Erasmus University does not have a digital library with digitized books, but open access is advocated, and you can find publications from Rotterdam in an e-repository. The tulip books digitized at Wageningen University can offer you a good background for the study of the Dutch tulipomania in the early seventeenth century, the rage for tulips and the gulf of speculation on the prizes at which tulips were sold. In the e-Depot of Wageningen University, a university focusing on agricultural sciences, you can find for instance the study by Jaap Buis on the history of Dutch forestry. The Technical University Delft presents in its Multimedia Portal historical maps and images. At Tilburg University is no digital library, and only a part – some 20 percent – of the Tilburg e-repository is freely accessible. The catalogue of the Brabant Collectie, the rich collection on the history of the province of Brabant with books, manuscripts and audiovisual materials, can be searched online, but the interface is only in Dutch. For Maastricht University you can check the links on the legal history of Limburg. Among the digital exhibitions of Maastricht University Library you might like The Dutch Bridge, on the historical relations between Japan and the Netherlands. When you leave out Utrecht, Leiden and Amsterdam you might think nothing can be added anymore. Academisch Erfgoed, “Academic Heritage”, is a portal of six universities in which university libraries and museums cooperate to create several digital collections; so far I have not found a collection related to legal history. The Dutch ethnological collections have their own portal website, SVCN, but alas they do not digitize their books. The Royal Tropical Institute in Amsterdam has digitized exactly one book from its collections, Reize naar Suriname (..) by John Gabriel Stedman (1799), translated from the English original. However, the digital presentation gives only a selection from this book, which recently has been digitized completely for Early Dutch Books Online. All possible defects are redeemed by the variety of other activities of the RTI. Colonial maps from the RTI’s collection have been digitized, as is a fine image collection. The Royal Institute for South Asian and Caribbean Studies at Leiden supports a number of initiatives, among them, the Aceh Digital Library. In fact the link collection of this institute explains why I hesitate to create my own page on Indonesia, Suriname and the Dutch Antilles. For Dutch colonial history in East Asia one can visit the Indisch Knooppunt portal with a lot of useful links. Back to Dutch universities we find at Groningen University a very well-ordered digital repository. You can search chronologically for digitized dissertations at Groningen Law Faculty from 1920 onwards, for example the 1934 Ph.D. thesis by Herman Jan Scheltema on the actiones arbitrariae, and Thomas van Bochove’s dissertation on Byzantine law (1996). At Groningen, too, historical maps have been digitized. This is the place to refer to the Oddens link collection at Utrecht University on historical maps; sadly this repertory is no longer updated. The digital collections of Leiden University Library offer their full strength only to subscribers and card holders. To me this situation at Leiden has always created the image of an immense treasure trove of which you can only visit the porch, but not really enter without special admission. You get a tantalizing glimpse of things, your appetite is wetted by often very extensive descriptions of holdings, but not a complete view of them. “Leiden has it, but it is not for all”, might be your quick conclusion. When you look for example at the selection of early printed books you will find among some sixty items a number of archival and manuscript collections and only a few books and pamphlets. Is it our good fortune that the two pamphlets have been digitized and are freely accessible? The first pamphlet is the famous Dutch declaration of independence from Spain in 1581 (Placaert vanden Staten Generael (..); PAMFLT 1581:237), the second a pamphlet against private trade issued by the Dutch East India Company (Pamphlet tegens den particulieren handel, Amsterdam 1630; THYSF 3516). I could not find a persistent link to these items, and therefore I give the signatures. How very old-fashioned and time-honoured! I am quite willing to applaud Leiden University, but this state of affairs seems to detract from usual Leiden standards. Among other research institutes the International Institute for Social History (IISH). Whenever I see the site map of this institute I am truly impressed by the width and variety of archival records, visual materials and activities. Today I would like to point to Occasio, “Digital Social History Archive”, an internet archive for social history, with in particular sources on the wars in former Yugoslavia. Checking the IISH link list on the history of internet and various efforts to archive the internet is really worth your attention. The IISH supports a number of other institutions as well, for example the Dutch Press Museum. An online exhibition on censorship includes a bibliography on this subject. However, the IISH has only a few digital collections, and the most rewarding are perhaps the William Morris Collection and the Sylvain Maréchal Collection. Aletta, formerly known as the International Archive for the Women’s Movement, has an open access image database. The Gerritsen collection on the history of the women’s movement has been digitized, but is accessible only at subscribing libraries and their card holders, and for card holders of Aletta. This enables you to use two other digital collections as well. The Dutch Royal Library has an impressive list of digitization projects, but it is remarkable that only a few of them concentrate on books. Often they can be searched using the Memory of the Netherlands Portal, but books form only a small part of this imposing gateway to almost one hundred Dutch digital collections. Some projects are accessible through separate website, in particular the Dutch parliamentary papers from 1814 to 1995. The latest project of the Dutch Royal Library to go live is Early Dutch Books Online with books from the period 1780-1800. You can search on a sub domain website in a growing selection of digitized Dutch newspapers from the seventeenth to the twentieth century. The interface is in Dutch. One of my few irritations with the website of the Dutch Royal Library is, its lack of consistent and updated English version of webpages. The Institute for Dutch History cooperates with the Royal Library in digitizing its source editions. The Second World War looms large in the Dutch collective memory, but the Institute for Dutch History has steered safely from this period, because another research institution, the NIOD Institute for War, Holocaust and Genocide Studies, was originally created as the special center for war documentation. The NIOD holds a large number of archival records and maintains a number of online services and websites. The NIOD points to a large number of related websites elsewhere. Digitized pamphlets at the NIOD are accessible again through Memory of the Netherlands portal. The 2002 NIOD report on the events in Srebenica in July 1995 has been digitized. Together with the Royal Library and the Dutch National Archive the NIOD will soon launch a new portal with sources concerning the Second World War. In view of the sheer number of printed publications on the Second World War it is difficult to envisage a digital library for this period. The indelible imprint of this war on many Dutch lives and the Dutch imagination is reinforced by the proliferation of images and image databases. The NIOD supports at least two images databases on the Second World War, a more classical one and one as part of a portal. Interviews with witnesses of the Second World War figure on a special site. Fourteen war diaries held at the Historical Center Overijssel in Zwolle can be viewed at the Memory of the Netherlands. No doubt this tour of Dutch digital libraries is a bit long in comparison to the number, quality and relevance for legal history of the websites mentioned here. However, this conclusion should not cause too much distress and despair, for not only digital libraries can support research in legal history. The projects for the digitization of newspapers listed by DEN offer open quick access to an important source on public views and discussions. The list documents also the great activity of Dutch archives for digitization. Maybe it is now time to finish my series on digital libraries and to change my focus. Digital archives are every bit as interesting, diverse and important as digital libraries. When encountering digital libraries especially American libraries have also digitized archival collections. When I will look at digital archives I will not forget books and manuscripts. In fact I have already often been tempted to look closer at digitized archival records and their role and importance for legal historians, but in earlier postings often it was more sensible to stick as closely possible with the fascinating subject of digital libraries. In view of the restricted number of Dutch digital libraries that I found fit for inclusion here I would like to make good the omission of the image database at the library of the Vrije Universiteit Amsterdam. As for now you will find engraved portraits, some digitized medieval manuscripts, historical maps and clay-tablets from the Ancient Near East in the Van der Meer-Cools collection. This collection might awake the interest of some legal historians. The library promises to publish soon more digital collections. In October 2011 I have added another post on Dutch digital libraries which can be read as a sequel to this post. The Dutch Royal Library has created a new overview of Dutch digital projects (PDF) where you can find not only books, but also maps, journals, newspapers, images and graphic materials. In the version of December 2014 Leiden (Digital Special Collections), Utrecht (the Objects database for the Bijzondere Collecties) and Groningen (Digital Collections) are sadly absent, but even with these lacunae it is a useful overview. However, surely it is time to update the overview here at the page for Old Dutch Law and at the similar page of my legal history portal. This entry was posted in Digital editions and tagged Cartography, Digital libraries, Frisia, Legal history, Netherlands on June 29, 2011 by rechtsgeschiedenis. Two weeks ago I left my blog for a holiday on Terschelling, one of the five Dutch Waddeneilanden, the Frisian Islands. It is time to come back to my post about these islands. Reading it again it clearly needs some additions and clarification. Thanks to my recent visit I can really complete a line of thought which loomed at first rather dim and hesitant. At the heart of my post on Terschelling was the struggle between the protection of natural beauty, represented by Staatsbosbeheer, the Dutch National Forest Service, and the interests of tourism, the core of the economy on these islands, represented by both the municipalities and the citizens of the Wadden Islands. The Dutch National Forest Service wants to increase the long lease rents due to them drastically. It is easy to see that the conflict here is also about the power of a public body in the role of a private land owner with a position tantamount to a monopoly. Whatever the outcome of this clash which implicates the boundaries between public and private law it is bound to be of interest to legal historians. My search for legal documents about Terschelling has still barely started, but I could have pointed already to the very useful collection of sources presented at the website Regelgeving in de Nederlanden (Legal administration in the Low Countries). Alas you will not find here any sources which pertain only to the Frisian Islands, but among the sources for Frisian law you can find the main law texts, for instance the Lex Frisionum. The Dutch national website on jurisdiction, Rechtspraak, offers on the page of the Leeuwarden court a short general history of the Frisian courts. I owe you the exact reference to the words of Pliny the Elder about the Wadden region: it is in Naturalis Historia, 16.1.2. The striking thing is of course the nearly seamless transition between land, air and sea. 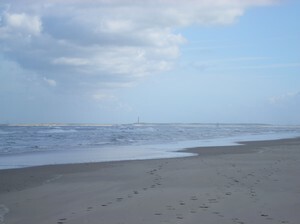 Walking on the Groene Strand, the Green Beach, makes you wonder why this particular area is not a national park. Now only the area around a number of dunes where artic terns (Sterna paradisaea) have their nests is marked as a bird reserve. In fact it has long been pleaded to make the Dutch Waddenzee into a National Park. Nature is such a scarce commodity in the densely populated Low Countries. Why should one hesitate to take action? The Frisian Islands came into existence in the late thirteenth century when a former wall of dunes was finally broken by the power of the sea, thus creating the Waddenzee. I mentioned in my July post on Terschelling the fact that the Boschplaat has been added to the island since the second half of the nineteenth century when the former strait of the Koggendiep silted up. Geologists see a long-term development in which the Frisian Islands slowly move to the east. The Dutch National Forest Service invites groups of volunteers to help removing firs from the dunes. Dune areas should not become woods any more. One can certainly distinguish areas of outstanding natural beauty on Terschelling and the other Dutch Frisian Islands, but the question is exactly whether these islands have a distinct and definitive natural form. To my eyes nature here is in an eternal flow. Islands will move. The tides reshape their form not just twice daily, but also in the long run. Creating screens and dikes on sand plates and fostering dunes is an act of man making nature obey to some measure to his wishes. In the end, however, the forces at work here escape man’s grasp. The great paradox of natural beauty is indeed being often only recognized by making it a part of a landscape park, almost the Enlightenment version of the Garden of Eden. The very word landscape was first used in English to describe Dutch paintings representing outdoor scenes situated in a landschap, a man-made environment. 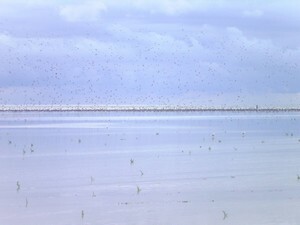 It is not my objective to dispute the ecological wealth of the Waddenzee or to doubt the need for protection. My question is not just which natural environment is most outstanding, but what does the concept of nature mean when it is so clearly fluent? Can one point to the original state of the Waddenzee? How can one use nature as a juridical concept when you have to acknowledge the fact that nature does not equate automatically with a stable order nor with utter chaos? In this light natural law most definitely emerges as a man-made argument par excellence. The original idea of a vacation period was to free one self from daily doings and squalid affairs. Theologians wrote about vacare Deo, free one self for God. Hopefully your own holidays help you to look freshly again at anything and everything. To finish things let me point to the Tractatus Tiberiadis from 1355 by Bartolo de Sassoferrato, the first treatise on legal geography as Osvaldo Cavallar wrote in his article ‘River of Law: Bartolus’s Tiberiadis (De alluvione)’, in: A Renaissance of Conflicts. Visions and Revisions of Law and Society in Italy and Spain, John A. Marino and Thomas Kuehn (edd.) (Toronto 2004) 31-129, with an edition of Bartolo’s treatise. You can read online the version of the text in a Lyonnese edition from 1555 of Bartolo’s consila and treatises in the digital library for legal history at Milan, starting at fol. 139 verso (page 278). For more information and images you can also read this post on the blog of the Fonds Anciens at the Bibliothèque Interuniversitaire de Lyon. I would also like to mention the Tractaet of dyckagie by Andries Vierlingh (circa 1507-1579), a treatise on dike building. The 1920 edition by J. de Hullu and A.G. Verhoeven has been digitized by the Instituut voor Nederlandse Geschiedenis, The Hague. More information in English about the history of Terschelling and other Dutch islands is presented by Ruud Bijlsma at his Islas website. Old maps of Terschelling are discussed and presented in a study by Marijke Donkersloot-de Vrij, Scellinge.Vijf eeuwen kartografie van Terschelling (Utrecht 2002). The Royal Dutch Academy of Sciences has started a Waddenacademie. Somewhat belatedly I noticed Terschelling is home to seven duck decoys. A recent study has been devoted to them by Piet Lautenbach, Eendenkooien. De laatste heiligdommen van Terschelling [Duck decoys, the last sanctuaries of Terschelling] (Assen, 2011). The National Forestry Service pointed at its Terschelling blog in 2011 to the fact that some of these duck decoys have one owner, but others have multiple owners, and indicated also differences in the maintenance of them. The theme of alluvial growth of land in Frisia and its impact on legal history is pursuited in a recent article by Kees Kuiken, ‘Opstrek of aanwas? Bezits- en rechtsverhoudingen in en om Het Bildt in Friesland tot 1506’ [Increase or alluvion? Properties and legal relations in and around Het Bildt in Frisia until 1506], Pro Memorie 14 (2012) 31-54. This entry was posted in Landscapes and tagged Frisia, Legal history, Nature, Netherlands on August 11, 2010 by rechtsgeschiedenis. It is summertime, and the living is easy! Time to leave my home town, and to spend a few weeks without e-mail or internet, even without any major library, archive or museum within train, biking or walking distance. The Frisian island of Terschelling is my holiday destination for the third successive year. Legal history will not be on my mind, but a couple of days ago I realized there is a connection between Terschelling and legal history which I have mentioned several times on my blog. Is there no escape possible from Staatsbosbeheer, the Dutch National Forest Service?! You can check my March posts on the fortifications around Utrecht and the Breukeleveen duck decoy for it. Looking at the history of Terschelling yields some interesting facts on legal history, and the National Forest Service, founded in 1899 and since 1998 an independent service formerly part of the Ministry for Agriculture, is just a new element in it. The Frisian islands form a part of the fifty islands in the North Sea from the Dutch navy port of Den Helder up to Denmark. Nowadays five islands belong to the Dutch Waddeneilanden, Texel, Vlieland, Terschelling, Ameland and Schiermonnikoog. At some moments in history several Dutch islands have been abandoned because they changed into sand plates. The most eastern Dutch island in the Wadden Sea, Rottumeroog near the estuary of the river Ems, was the last abandoned island, now reserved for bird life. Until the Saint Hubert Flood of 1287 Terschelling was not an island at all: one could reach it on foot from Frisia. Soon the island became important for the Hanseatic fleets. For centuries the city of Zwolle was in charge of keeping the sea route of the Koggediep. In 1322 count William III of Holland gave Terschelling as a fief, including the low and high jurisdiction, to Klaas Popma, a scion from a mighty Frisian family. From 1322 to 1615 Terschelling remained a fief of Holland; its archive is kept at the Dutch National Archives in The Hague. An inventory of it was made in 1976 by C.E. Schabbing, now available also online. 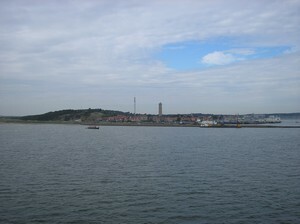 Terschelling was ruled as a grietenij, a Frisian district. In 1482 Rienck Popma concluded a commercial treaty with the English king Edward IV. 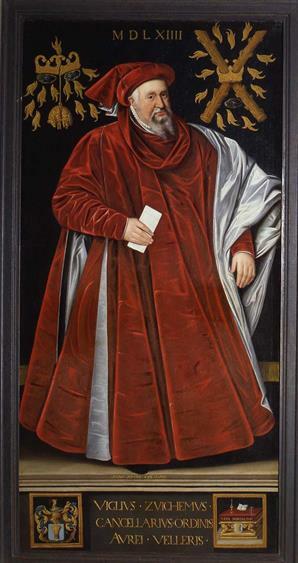 The Popma family was not the only claimant to the jurisdiction of Terschelling: the provost of the Saint Donatus at Brugge and Cornelis van Bergen competed with them in the early sixteenth century. The final possessor at the end of the sixteenth century, Charles of Aremberg, discovered he owned an impoverished island. In 1499 troops of a Frisian warlord had plundered the island, and in 1569 the castle of the Arembergs had been burnt down. In 1615 he sold it to the States of Holland. In 1666 English troops devastated Terschelling during Holmes’ Bonfire. They left only the Brandaris light house undamaged and captured a Dutch commercial fleet. For this the Dutch took their vengeance with the Raid on the Medway, the famous 1667 raid on the Thames. In the eighteenth century whaling helped the islanders to gain some prosperity. In 1612 Terschelling had been divided into two separate municipalities. During the reign of the Dutch Patriot government, in 1805, Terschelling – Skylge in Frisian – became again a Frisian island, but in 1814 it was added to the new province North-Holland, and the island was united into one municipality. The archive of the two nedergerechten is kept at Tresoar – Frisian for treasury -, the Frisian provincial archive and library in Leeuwarden. In 1942, during the German occupation of the Netherlands, it was decided to add Terschelling again to the province of Friesland, a decision confirmed by Dutch law in 1951. In 2009 UNESCO added the Dutch and German part of the Wadden Sea to the World Heritage List, thus acknowledging the natural beauty and ecological quality of this natural area. This surely crowns the efforts of the Dutch Waddenvereniging, the society for the protection of the Wadden Sea. Schiermonnikoog is even owned by Natuurmonumenten, the Dutch Society for Natural Monuments. Lots of tourists visit the islands to enjoy all this, and this puts a serious threat to nature. The Dutch National Forest Service takes the main responsibility to protect the rich variety of landscapes, not just the dunes, beaches, moors, woods and polders, but also the shallows, the archetypical Wadden, a wetland environment altering eternally with the tides. Pliny the Elder wrote you cannot decide what belongs here to the sea and what is definitely land. The Boschplaat, formerly a sand plate, became from 1866 onwards factually part of Terschelling, formally confirmed by the building of a nine kilometer dike between 1931 and 1937. It is now the largest natural reserve, a third part of the island. On Texel, Vlieland and Terschelling the Dutch Forest Service leases most houses and plots (in long lease); in fact even the use of dunes for water supply is leased this way by Staatsbosbeheer. Last year they announced a very substantial increase for the rents due to them which had not been changed in fifteen years. This enormous increase threats the local economy which centers around tourism. No wonder the inhabitants and municipalities of these isles protest vehemently against this proposal. 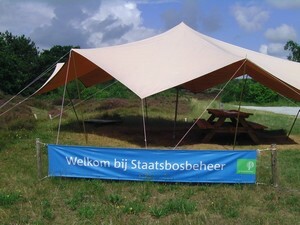 Next year the Dutch Forest Service which runs also a number of camping sites, will raise its prices there drastically, too. Complaints have been expressed in the Dutch Parliament and even at the level of the European Commission, also about the alleged policy of forcing house owners to raise the official tax value of their properties. Terschelling is not the only Frisian island with an interesting legal history. Schiermonnikoog – literally “Island of the Grey Monks” – belonged to the Cistercian abbey of Klaarkamp near Rinsumageest. After 1580 the States of Friesland held this island as confiscated ecclesiastical property, but between 1638 and 1945 it was a privately owned island. The lords of Ameland claimed from 1424 even the status of an independent principality, a status preserved by the Frisian States in 1704 when they became the lords. Only in 1814 Ameland became fully integrated in the Dutch administration. On Amelands legal history F.A.J. van der Ven has published ‘”It takes three generations to make a gentleman”, oftewel enige opmerkingen en mededelingen over de rechtsgeschiedenis van Ameland’, Groninger Opmerkingen en Mededelingen 25 (2008) 51-74; earlier she wrote Een omstreden eiland. De eigendom van het eiland Schiermonnikoog in geding (Ph.D. thesis, Groningen 1993). I have skipped the period in which Jacoba of Bavaria – to English readers better known as Jacqueline, countess of Hainaut – held Terschelling as a fief, but I would like to mention the fine new biography on her by Antheun Janse, Een pion voor een dame. Jacoba van Beieren (1401-1436) (Amsterdam, 2009). I could have pointed to the longevity of the particular Terschelling form of customary rights, the nabuurschap, of which some forms still exist. The variety of small museums on Terschelling can give you a vivid image of this and much more. Archival records concerning Terschelling are present not only in The Hague and Leeuwarden. The municipal archive from 1811 on is in West-Terschelling. Thanks to the Dutch archival search portal Archieven.nl, a website with a multilingual interface, one can search at home for many records. Medieval charters from Frisia published in the Groot placaat en charter-boek…van Friesland (5 vol., Leeuwarden 1768-1793) and also the Ostfriesisches Urkundenbuch (2 vol., Emden 1878-1881) can be found at the website Cartago. Tresoar, the Frisian archive at Leeuwarden, has its own digital treasury, with for example an incunable of the Freeska Landriucht, and you can use the Digitale Historische Bibliotheek Friesland. More Frisian archives are present on Fries Archiefnet. Enough is enough for now! I am sure I will enjoy Terschelling even more than before, and I am happy that during the coming weeks I will not escape completely from legal history. I hope you have enjoyed this long post, but much more can be said about Frisia and legal history. This entry was posted in Landscapes and tagged Customary law, Frisia, Legal history, Nature, Netherlands on July 20, 2010 by rechtsgeschiedenis.